How long are therapy sessions? 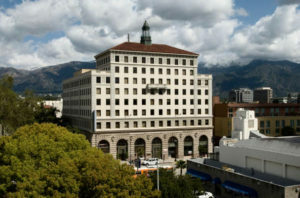 Sessions are 50 minutes long and take place once or twice a week in my office in Pasadena (address below). 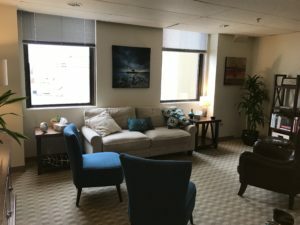 What can I expect from therapy? Our first session will be about gathering information about your personal, family, and medical history and discussing what you are going through. I'll explain the rules and limits of confidentiality and ask you to complete some paperwork. We will also start developing a plan, shaped to your needs and lifestyle, to help you achieve your professional or personal goals. I am the type of therapist who is very involved in a session and will ask questions and make comments and suggestions. I'm not the silent type who sits and waits for you to talk. I may also set homework. How long will I be in therapy? I don't like to say 'it depends' but it really does. I have seen some people every week for 2 years and they continue to make progress and get a lot out of our therapy sessions. Others come for twelve sessions and feel they have made enough progress to get by and they know they are welcome to come back any time. As for couples therapy, as a rule of thumb, using the Emotionally Focused Couples Therapy model (EFT, in which I am trained) you can expect to make progress in 15-20 sessions. If you're an MFT do you just work with couples and families? Although my degree is a Masters in Marriage and Family Therapy, I mainly work with individuals. The term 'marriage and family therapy' is more to do with how I view a person's issues - I look at them in the context of their relationships, both past and present. What do you charge? My fee is $150 per 50 minute session, or $180 for couples therapy. What insurance plans do you accept? I no longer accept insurance as I found that it could actually be a disservice to my clients in the long term. Firstly, insurance companies require proof of 'medical necessity' which means I have to provide a diagnosis that matches symptoms. Many people who benefit from regular therapy neither want nor need a diagnosis. Secondly, insurance companies have been known to suddenly decide to stop paying for therapy without notice which obviously causes a lot of stress and upset. As such, I provide a monthly bill to submit to your insurance company for reimbursement under your out-of-network benefits. How can I pay? I accept HSA cards, Discover, Visa, Mastercard, cash, and personal checks.